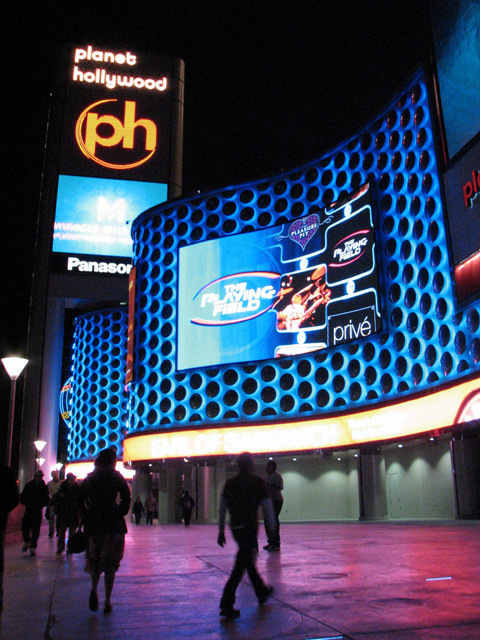 Despite the semi-fantastic light show, the outside of Planet Hollywood is a complete bore. Why they don't have casino or other loud fun spilling onto that 'piazza/walkway' is baffling. Put a club there guys.